We're very excited about our new look! We’re excited to finally show you our new packaging for our spelt muesli, Date & Coconut and Millers Muesli! We’ve been working hard make the benefits of eating our cereal even clearer and this new packaging aims to do just that. The new packaging also gives you even more information about exactly how and where our spelt is produced and why we have such a passion for this ancient grain. 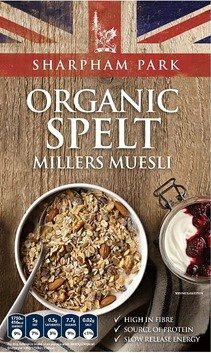 The serving suggestion on the front provides you with a little bit of breakfast inspiration, showing you just some of the ways our muesli can be enjoyed. 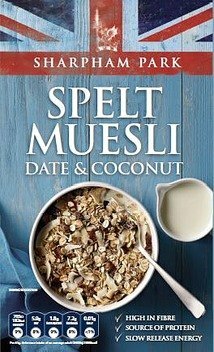 It also shouts about how temptingly good our muesli's are…so much so that our Date & Coconut muesli has just won Gold in the Taste of the West Awards. We hope you enjoy this new look designed with our love for spelt in mind.